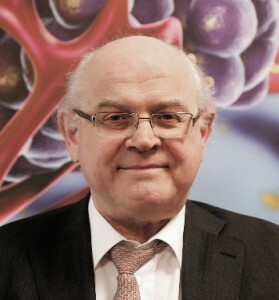 Désiré Collen, the Belgian physician and biochemist who led the team that developed t-PA – currently the most effective drug for thrombolytic therapy of acute myocardial infarction – donated $50,000 to the Faculty of Medicine for a translational research fellowship. The fellowship will focus on hemostasis (the cessation of blood loss) and thrombosis (the formation of obstructive blood clots). Under the co-direction of Drs. Lee and Ed Conway, Professor in the Division of Hematology and Director of the Centre for Blood Research, fellowship recipient Erica Peterson will seek to identify novel biochemical pathways that may contribute to our understanding of why patients with cancer have such a high risk of thrombosis.